The ever-evolving cider industry has a new product on the market with a message. 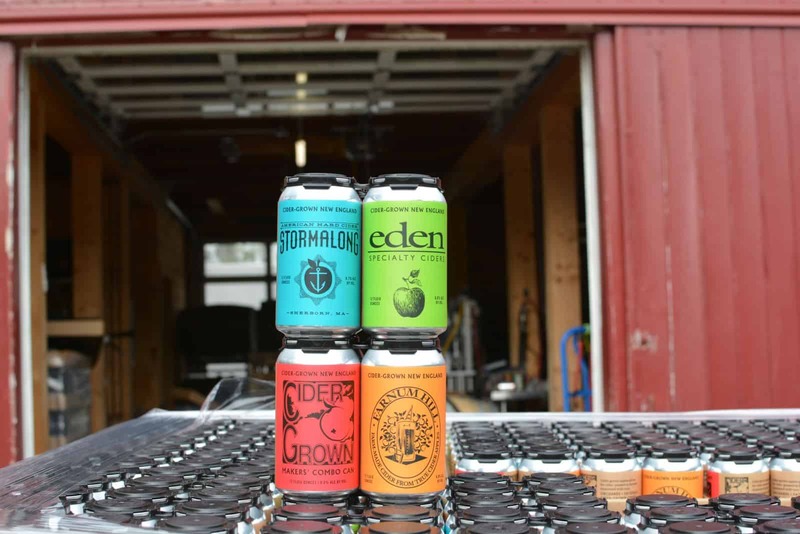 Eden Specialty Ciders, Farnum Hill Ciders and Stormalong Cider came together to create a first for the industry: a collaborative cider 4-pack. The New England-based cideries brought all of their knowledge of excellent cidermaking together to develop a new product, one which would complete the unique Cider-Grown New England Multi-Pack. Maker’s Choice, the cider that was birthed from this union, is a testament to great craftsmanship and hard work. Shannon Edgar, founder and cidermaker at Stormalong Cider, was kind enough to sit down with Cider Culture to give us a peek into what sparked this cool collaboration and what the CiderGrown initiative is all about. Cider Culture: Tell us a bit about each of your cideries? Shannon Edgar: Our cideries all center around the use of specific apples grown and used for the purpose of making hard cider. These apples are used in more of a “wine style” production method where the choice of fruit and methods of fermenting, aging and blending reflects the practices most smaller scale wineries use when producing grape-based wines. Eden Ciders is based in Newport, VT close to the Canadian border and thus experiences colder winter climates which allow the use of climate in producing their signature ice ciders, as well as the hard ciders they offer in their portfolio. All three cideries also have orchards on site where we grow specific varieties of apples that have proven to be good candidates in the use of hard cider. 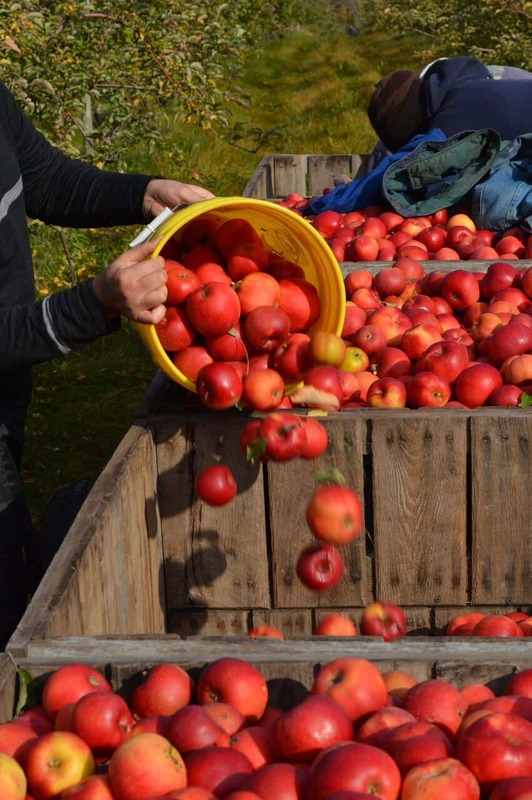 Farnum Hill Ciders in Lebanon, New Hampshire, is also home to Poverty Lane Orchards, which has a more substantial growing capability and expertise in growing cider-specific apples. Stormalong Cider’s small batch facility is based on our farm in Sherborn, Massachusetts, about 45 minutes outside of Boston. We have a larger facility in Leominster, Mass., which also houses a large scale apple press on site. Both Stormalong and Eden also source some of our fruit from Poverty Lane Orchards. Cider Culture: What inspired your cideries to collaborate on this project? How did this connection come to fruition? Shannon Edgar: It really started with a phone call between cider makers. Steve Wood called me to talk about the concept of canning, as we had experience in this area. We ended up gathering at Poverty Lane in Lebanon for a meeting together, and after hanging out and talking, we sort of said, “Wouldn’t it be cool if there was a variety pack of the types of ciders we make to help educate people and let them sample these types of ciders?” The types of ciders we were talking about used a decent percentage of bittersweet and/or bittersharp apples in the blends for increased tannin content. After the meeting, we continued the thought process and research and ultimately decided to move forward. We tossed around several different formats and ideas but decided that a reasonably priced 4-pack of 12-ounce cans was the way to go. It is the first time Farnum Hill or Eden has been available in cans, so it’s a very approachable way to sample four distinct ciders from some of the more respected cider makers in the industry. Cider Culture: What went into the process of making the cider? Where was it produced and how long did it take to go from idea to finished product? Shannon Edgar: Each cider maker took a look at the blends of ciders they had aging in their respective cideries and started to put together blends that would compliment each other in a variety pack. The main stipulation was that the ciders would have a component of bittersweet and bittersharp apples to showcase tannins and the taste and aromas these apples bring to the table. These ciders would all be on the dry side and reflect the personal producing styles of each individual cider maker. Cider Culture: Tell us more about how each cider was selected for this first-ever collaboration 4-pack? Shannon Edgar: Each cider maker put together a few blends of ciders and gathered in Leominster at our facility there. Cider makers from Farnum Hill, Eden and Stormalong all tasted the blends together and discussed our thoughts and ultimately decided which blends worked the best together. The idea wasn’t to have drastically different ciders in the variety pack, but to have ciders that complimented each other, showcasing the fruit, and offering the variances, each cider maker personally added to each cider. Eden’s Cider was blended from a few different fermentations as well, using a blend of the following apples: Kingston Black, Ashton Bitter, Ellis Bitter, Roxbury Russet, Joyce, Lawfam and Melba. A touch of its signature ice cider was added when putting together the final blend for a hint of rich and sweet. For Stormalong’s can, we used a good amount of Kingston Black and Dabinett apples blended with a base we typically use in our flagship cider, Legendary Dry. The base included Ashton and Ellis Bitter for bittersweets with more acidic apples, in this case Wickson, Northern Spy, Ida Red and Golden Delicious. We also have a friendly strain of lactobacillus in our cidery and we typically allow at least partial malolactic fermentation. The cider in the Stormalong can was allowed to go through complete malolactic fermentation resulting in a less harsh acidic cider, along the lines of some of the smaller producers in the UK. Cider Culture: Maker’s Combo is the end creation of your cideries’ hard work. What are some of the tasting notes? Shannon Edgar: Steve and Nicole at Farnum Hill did the heavy lifting for the Maker’s Combo can. When we met earlier in Leominster, we had brought proposed samples for each cider maker to taste. Steve took our samples back to Farnum Hill and worked on putting together a blend from his ciders in house that would also complement each other together in the fourth can. So, basically he kind of worked backwards to put together his contribution. The cider he and Nicole put together worked well when blended together with Eden’s and Stormalong’s ciders, as well as on its own in the Farnum Hill offering. The Maker’s Combo thus has notes you can pick out from each individual can, but also has a nice complimentary vibe. The cider is dry, with a nice minerality and notes of baked fruit, citrus and a backbone of bitterness. Cider Culture: Where were the ingredients sourced from? Shannon Edgar: All of our ingredients came from either our own orchards or through growers, close by our facilities, with whom we have personal relationships. In other words, we have a personal understanding and connection to the fruit, from where it originated and an idea into the growing practices of these orchards. It’s quite different from ordering bulk juice from a supplier, which is more common in the cider industry currently. Cider Culture: What were some challenges you faced during the creation of this cider? Shannon Edgar: The timetable was probably the hardest challenge. We really didn’t officially decide to do this until August of this year and we needed to have finished product in package by October 2017. That gave us about three months to figure out logistics, blend ciders, design artwork, websites, etc. Not to mention get our distributors on board with the concept and arrange shipping and logistics on that end, as well. It was an extremely tight schedule, but thankfully, we were able to pull it off. Having four bright tanks in our Leominster location also helped, logistically, to ready the ciders for packaging. Each cider maker shipped what were basically finished ciders to our Leominster facility so we were able to finalize and package there. The labels didn’t all arrive on time so we had to hand feed finished cans after the fact on some of the ciders, which wasn’t a lot of fun. But we got it done. Cider Culture: Where can we purchase the 4-pack? Shannon Edgar: Currently we have availability in Massachusetts, New Hampshire, Vermont, the New York City area and Chicago. We will be announcing some additional points of distribution as they are finalized. Cider Culture: Tell me about your website CiderGrown. What is its purpose? What are you hoping to achieve with it? Shannon Edgar: We are hoping to demonstrate the differences in ciders currently available in the US market. There’s a lot of lingo that gets thrown around out there from all types of producers, from the “macro” scale producers using concentrate, all the way down to the smallest producers using only cider specific apples. The term “Cider Grown” was a brand identity we thought simplified this directive. Cider Culture: What are some things you would like the consumer to know about your cider and cider in general? Shannon Edgar: We are hoping to help prospective consumers navigate the cider choices out there in the market and the differences that exist. You have flavored ciders and more “recipe” based ciders that use adjuncts and don’t really showcase the base cider. You have more mass produced ciders that are reliant on adjuncts, like acid and sugar. Then, you have what are more “wine style” ciders made 100% from apples, without the use of adjuncts or concentrates. The best of these ciders are made with fruit intentionally grown and sourced by the cider maker for a specific purpose. It doesn’t matter if you’re using Macintosh or Kingston Black, the ciders we’re talking about are made from apples grown and harvested for cider. And, ultimately, the ciders are representative of the apples selected in the blends. We believe these are the best types of ciders to showcase a more authentic experience for cider enthusiasts. There’s obviously a lot of experimentation going on out there with flavored ciders, but we believe this should not overshadow the efforts of ciders made to showcase apples. This sounds pretty obvious, but that is not what is currently on trend in the marketplace. Cider Culture: What does this collaboration represent in regards to the cider industry? What were you hoping to achieve through this partnership? Shannon Edgar: We were hoping that there was some strength-in-numbers for the Cider Grown collaboration. There’s a lot of noise out there and we were hoping that by combining forces and offering a variety pack, we’d have a better shot of rising above some of this noise. Cider Culture: Are there any future plans to work together? Shannon Edgar: We do plan on doing subsequent releases featuring additional cideries, as well. The details are TBD at the moment. Thanks so much, Shannon! 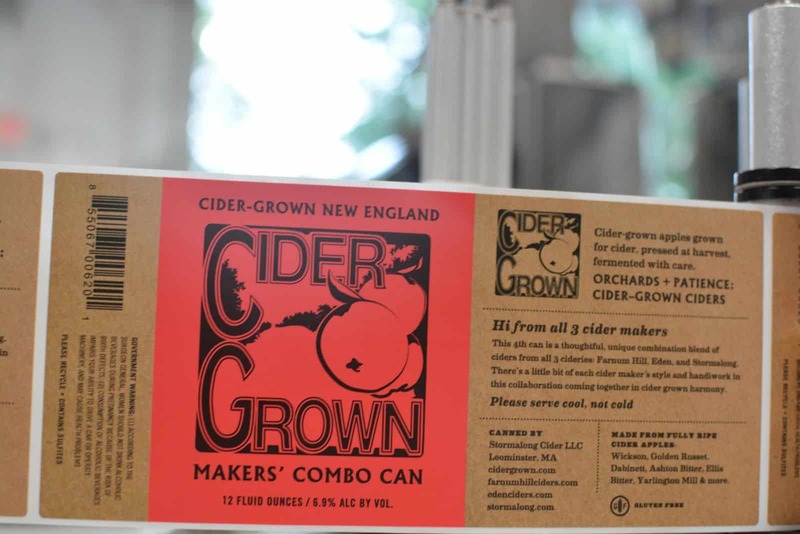 Head here to learn more about Cider Grown and the New England cider multipack.